“Wait…you can come to Vail? 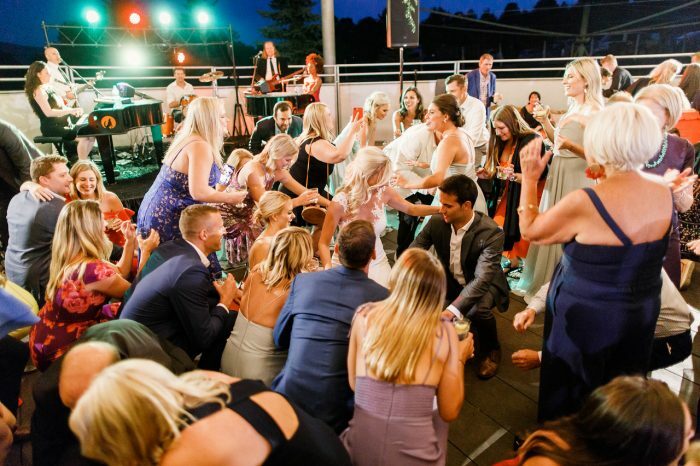 !” was the first question our couple asked us before booking our Dueling Piano show for their wedding day at this venue! The location is perfection and this venue is unbeatable. We’ll bring the party, you just need to bring your friends and family! (oh yeah, and some rings). The best events in Colorado become even better when you go remote. 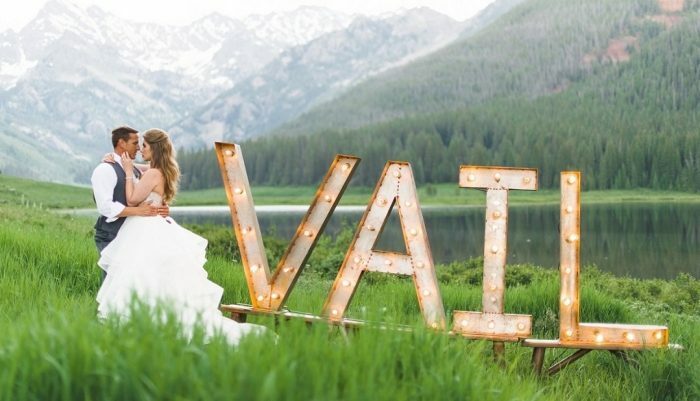 Located 9,350 miles above sea level, Piney River Ranch in Vail, Colorado is the perfect destination to retreat and indulge in everything the secluded venue has to offer. The 40-acre Rocky Mountain destination is surrounded by wilderness and provides the perfect scenery for everything from weddings and reunions to day trips filled with hiking, fishing, canoeing, and much more. Piney River Ranch even offers exceptional barbecue-style catering and plenty of lodging for all of your guests, plus no wifi or cell service on-site allows every guest at your event the break they need to immerse themselves in a unique experience. Piney River Ranch in Vail, Colorado is the perfect scenic and removed destination amongst the Rocky Mountains. The venue is available for rental from June 21st of every year through the second weekend in September and has space and lodging available for up to 200 guests. The breathtaking Gorge Range of the Rockies provides exquisite backdrops to commemorate your wedding or event in every photo and photography packages are even available through the ranch. Piney River Ranch also keeps an in-house caterer on staff, ready to provide your event with a variety of delicious “ranch-style” courses, including six different menu packages with a multitude of entrees and appetizers served in a gorgeous buffet-style setup. Lodging is available at the ranch’s cabins, yurt, and “glamping tents” as well, plus the venue even features activities on site including horseback riding, fishing, canoeing, paddle boarding, and more. Booking Howl2GO Dueling Pianos’ world class show to your Vail, CO event couldn’t be simpler. From conventions to corporate events, weddings to fundraisers, our unbeatable Dueling Piano shows bring high energy, interactive shows that your guests will remember for years to come anywhere in Colorado!